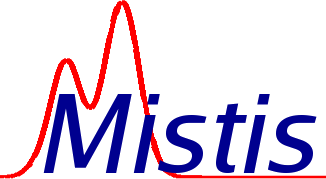 Mistis has been created in January 2008 and is a joint team of Inria and Laboratoire Jean Kuntzmann , a joint research unit of Centre National de Recherche Scientifique (CNRS), Institut National Polytechnique de Grenoble (G-INP) and Université Grenoble-Alpes (UGA). Our goal is to contribute to statistical modelling by offering theoretical concepts and computational tools to handle properly some of these issues that are frequent in modern data. 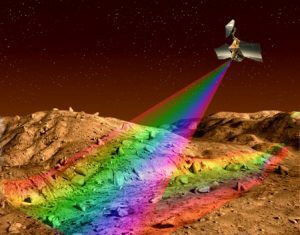 So doing, we aim at developing innovative techniques for high scientific, societal, economic impact applications and in particular via image processing and spatial data analysis in environment, biology and medicine. 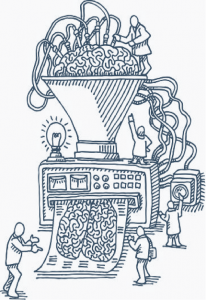 How to deal with complex phenomenons, complex models and complex data. We propose to use structured models and methods allowing easy interpretations. We propose to develop model selection and approximation techniques for complex structure models and to study dimension reduction techniques based on non linear data analysis. The theoretical and practical behaviour of methods. We focus on approximations justifications, asymptotic behaviour and convergence analysis. The methods we develop involve mixture models, Markov models, and more generally hidden structure models identified by stochastic algorithms on one hand, and semi and non-parametric methods on the other hand. Veronica Munoz Ramirez supervised by F. Forbes, J. Arbel and M. Dojat (Grenoble Institute of neuroscience) was granted a PhD grant from the Idex NeuroCoG project. The PhD project is part of a work package, dedicated to Parkinson’s Disease (PD), which aims at identifying multidimensional cognitive and neurophysiological biomarkers for early diagnosis, outcome prediction and novel neurorehabilitation methods for de novo PD patients. In the context of another Idex project named Grenoble Data Institute , two 2-years multi-disciplinary projects were granted in November 2017 to Mistis in collaboration respectively with Team Necs from Inria and Gipsa-lab (DATASAFE project: understanding Data Accidents for TrAffic SAFEty) and with IPAG and Univ. Paris Sud Orsay (Regression techniques for Massive Mars hyperspectral image analysis from physical model inversion).